The most complete, versatile workbench vise system you will ever need. 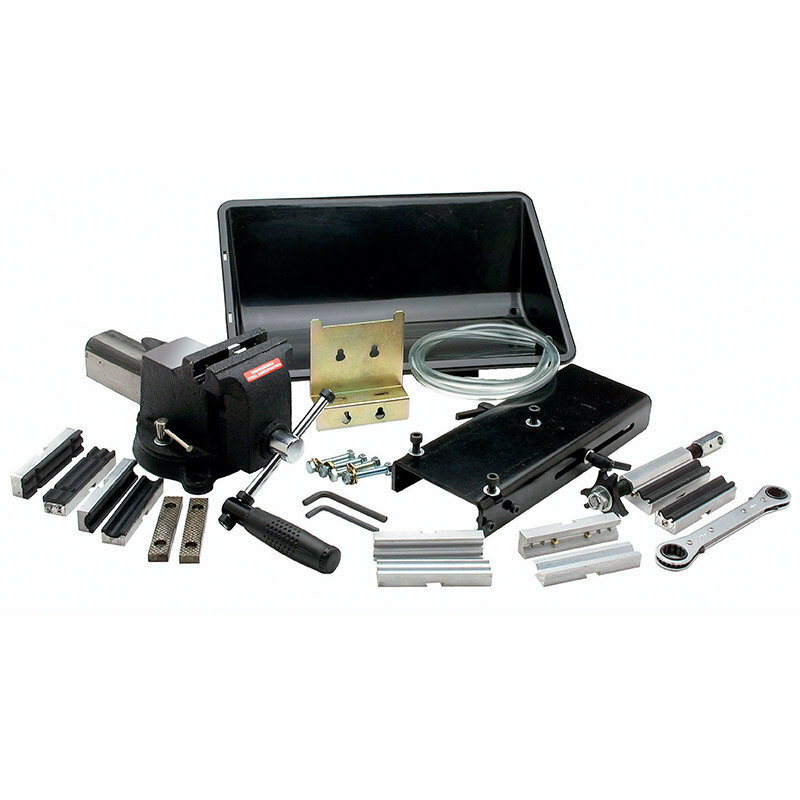 We start with a superb steel vise, with a universal jaw attachment system, add multiple sets of interchangeable jaws and clamps, a graphite shaft extractor designed for this vise, and a solvent catch pan for regripping. Then we add our unique vise extension so you can pull the vise assembly out over the shop floor when you need better access to your work or want to attach the solvent catch pan. The Vise Extension also sets the vise higher off the workbench to minimize the amount of bending you have to do when working.